Specialist external roller blinds that have been a common feature on commercial and public buildings across Europe, have become increasingly popular with UK architects looking for innovative ways to control the solar heat gain on building’s with large glazed areas. Faber Blinds the UK’s leading supplier of internal and external systems for the control of light and glare, manufacture and supply a wide range of external roller blind solutions that are suitable for both contemporary or classic buildings. 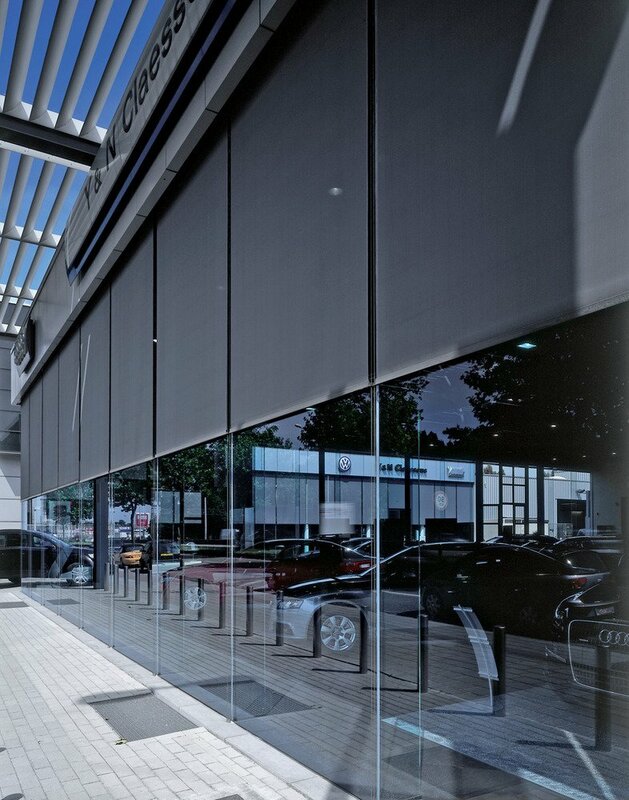 They have a wealth of experience in solar shading solutions and manufacture an exciting range of external blinds that are designed for ease of installation, long lasting durability with a discreet design to complement a wide range of external facades. 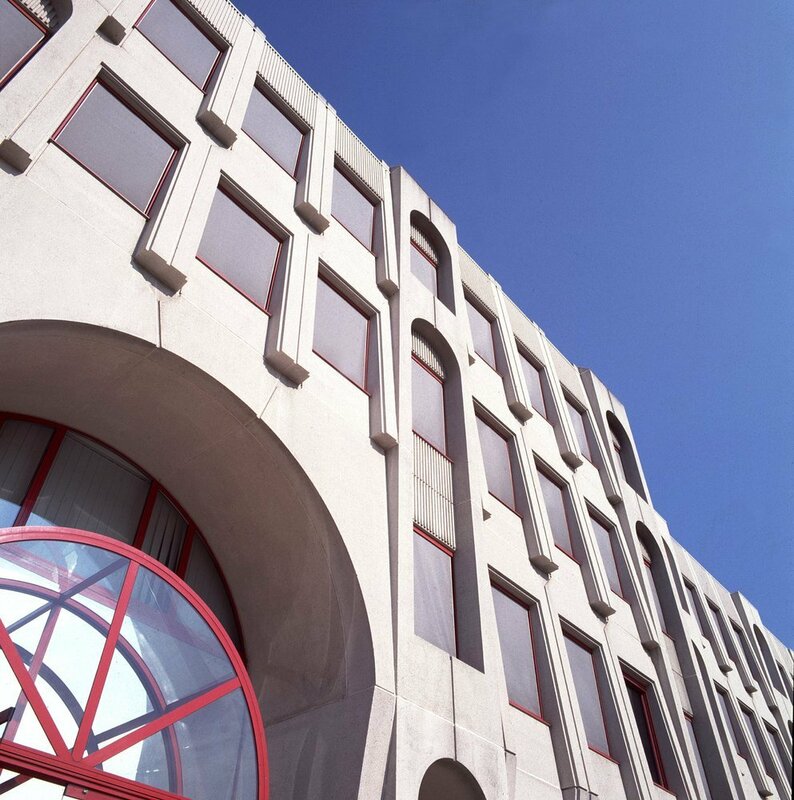 Faber’s expertise in this field is reflected in the way they customise their products for a broad range of buildings, this includes gravity drop shades, cable guided systems and a full range of motorised options. Systems can be designed in at an early design stage or fitted to a buildings exterior following building envelope completion. The rise of building management systems that control the heating, ventilation and electrical function of a building can be seamlessly synchronised with Faber’s range of motorised options. This allows for quick and easy shading of a buildings interior and speed retraction when high winds are forecast or renovation to the building or cleaning of windows is required. Faber offer an innovative selection of fabric designs produced in high quality materials that are colourfast, water and heat resistant, will not rot and remain dimensionally stable. Faber’s range of external roller blinds can also help contribute to a building’s sustainability by the management of solar heat protection, light diffusion, enhanced interior comfort and increased occupant productivity.